The latest 2019 Volkswagen Passat interior offers Chicago drivers a satisfying array of comfort and technology features — in a spacious cabin that’s tough to compete with. Find out what awaits in you in the inside the 2019 Passat below. The Volkswagen Digital Cockpit introduces a customizable digital display to replace traditional vehicle gauges. V-Tex Leatherette provides comfortable, durable, and easy to clean seating with a luxurious appearance. Climatronic dual-zone automatic climate control ensures both front seat occupants can achieve their own personal comfort. Experiencing a Passat in person is the only way to do it justice. 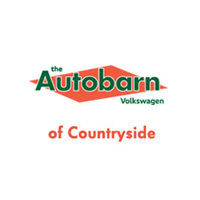 Visit us at The Autobarn Volkswagen of Countryside to take a tour of the interior and get a feel for how it performs on streets of Countryside — and if you need more space, there’s always the Atlas interior. Make sure to check out our rotating new vehicle specials for a chance at an even better deal on the 2019 Passat. Looking for something on a tighter budget? Try out selection of used Volkswagen Passat models — and budget for it today with our online payment calculator.